In June I had the privilege of photographing Jenny & Dave’s beautiful lake Garda wedding in Malcesine, a picturesque town on lake Garda in northern Italy. 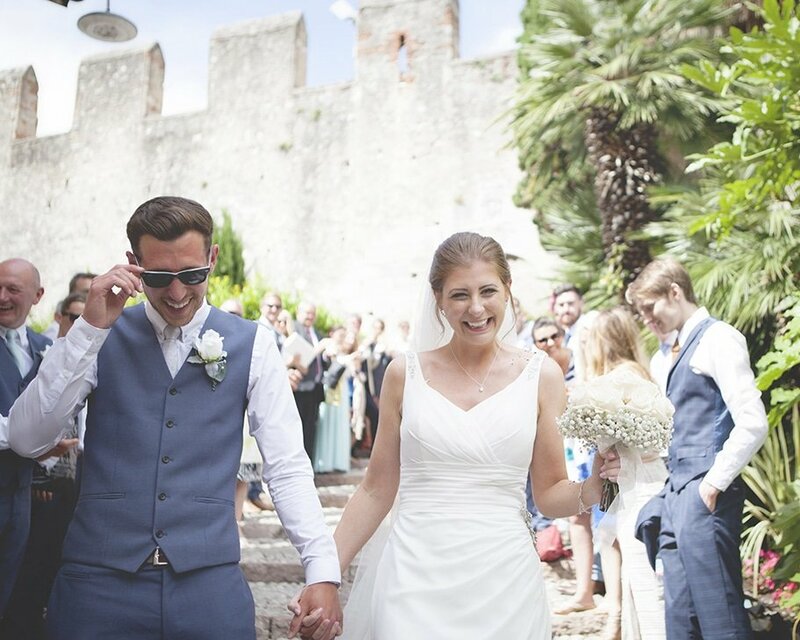 It was the breathtaking Malcesine Castle that attracted Jenny & Dave to this part of Italy, it really was the perfect venue for their wedding. Set beside the lake, Malcesine Castle is positioned in the centre of the town surrounded by cobbled streets. The entire town has a very romanic feel about it, so choosing to get married here is an obvious choice. The day before the wedding the heavens opened and we were all a little concerned about the outdoor ceremony Jenny and Dave had planned, but against the odds they had the perfect weather. The sun was shining for them all day and their beautiful roof top ceremony took place over looking streets of Malcesine and lake Garda, the view was incredible. 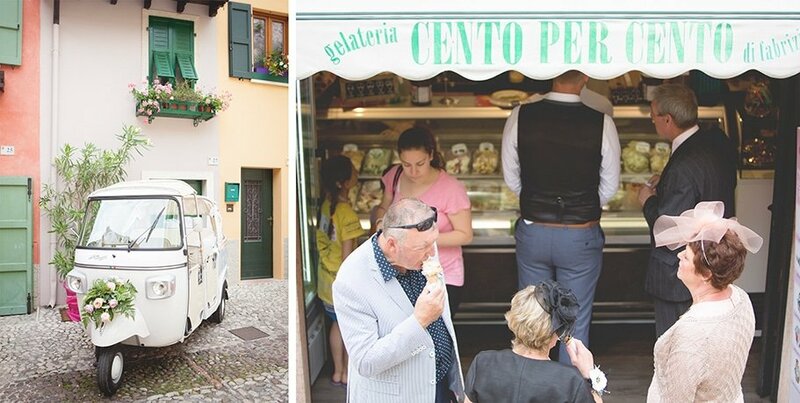 The roof top ceremony was followed by ice cream from a very popular little gelateria outside the castle. After the guests gathered to throw confetti, Jenny & Dave made their way down to the waterfront in a wedding themed tuktuk and the guests followed after them walking through the historic cobbled streets. From the waterfront everyone climbed onto an open top boat for a lovely trip across the lake and on to the reception. This was an amazing part of the day for me to photograph, there aren’t many weddings where you can photograph from a boat and it was the perfect opportunity to get a photo of the venue. The reception was in a much quieter part of the town overlooking a stunning part of the lake with lots of little wooden boats (another amazing photo opportunity). Malcesine was a magical place to visit and a breathtaking place for a wedding! I can only hope one day I get to go back and do another one!